The Rooster® ThermaFlex™ 1.5mm Longjohn; unsurpassed versatility. Pair it with a ThermaFlex™ 1.5mm Top in warmer climes; add PolyPro™ beneath for a heat boost or use as a winterising layer when it's cold. Perfect with or without ProHike pads, this Longjohn should be in your kit bag! When used with the Rooster® ProHike Pads experience the ultimate in hiking support or when worn alone make use of the unrestrictive fit and superior knock protection. 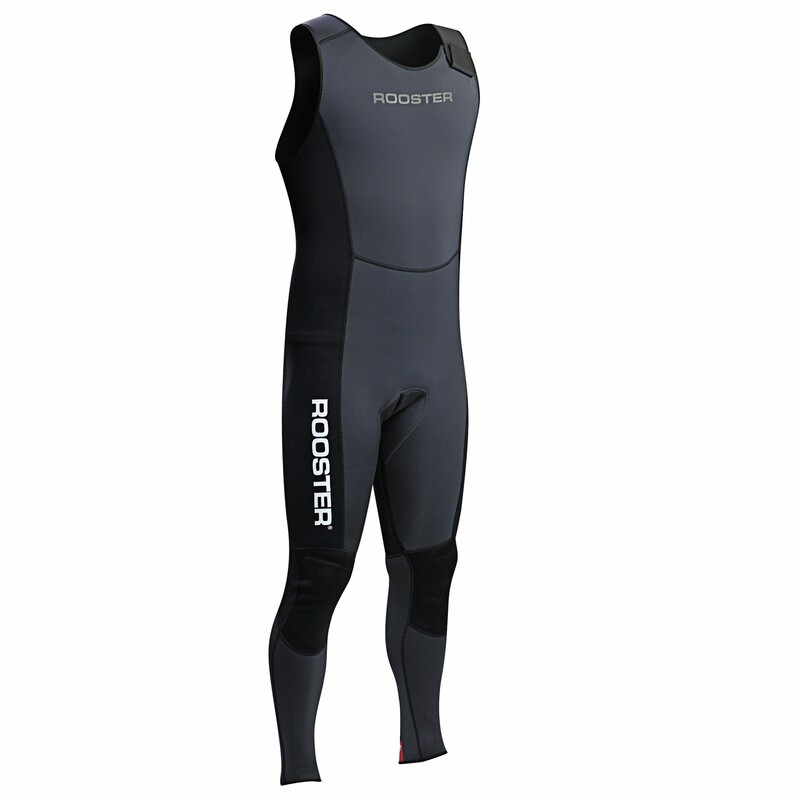 The ThermaFlex™ 1.5mm Top & Longjohn from Rooster® Sailing: For all seasons. 1.5mm / 4-way SuperStretch Neoprene: For unrestricted movement and superior knock protection. Comfortable & unrestrictive; designed with tailored fit suitable for both trapeze & hiking crews. 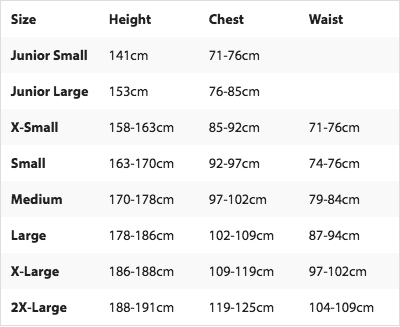 To use the size chart, find a size that best fits your height, chest and waist measurements. If you can't match all three of these criteria, please take into account your body shape and choose the closest match.